Every year, more than 11.3 million new vehicles equipped with SACHS dampers and shock absorbers roll off the production line. SACHS has a 120-year proven track record (since 1894) of technological and quality leadership in this space. 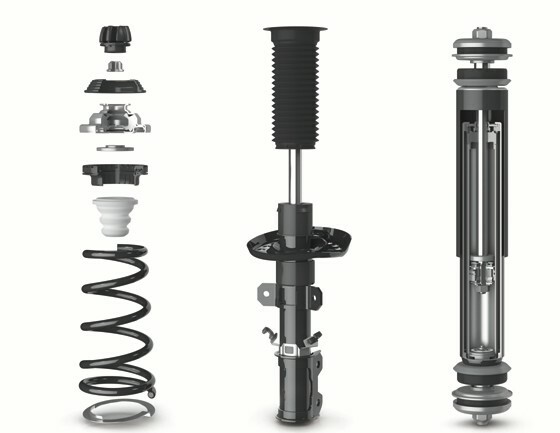 In fact, ZF boasts one of the largest shock absorber manufacturing bases in the world and today, offers more than 6,570 references that cover almost all vehicle types, including 1,984 references for Asian vehicles. SACHS is a trusted partner in professional motorsports, and its products have been involved in more than 100 wins to-date. This invaluable experience is then applied to the development and manufacturing of SACHS products for passenger cars. And we know Asia. We provide OE shock absorbers to some of the region’s most popular car brands including Honda, Hyundai, Kia, Lexus, Mitsubishi, Nissan and Subaru. What does this mean? Peace of mind for the thousands of trade partners, workshops, and drivers who can count on SACHS quality for a wide range of Asian car models. When the rubber hits the road, SACHS is the only choice.